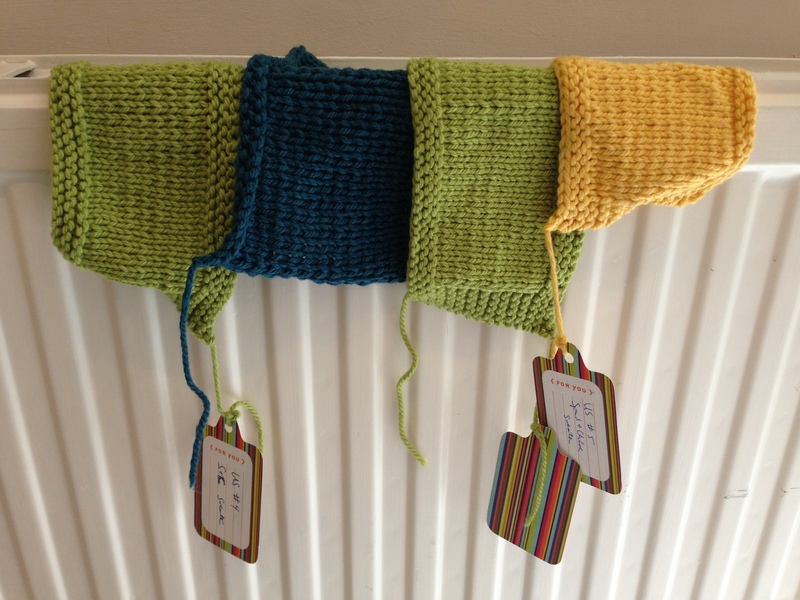 Right As Rainbow Knitalong: Tagging Your Project | Knit Like You Mean It. Cast-On Day for the Right As Rainbow knitalong is still a week away (Sept. 4; mark your calendars!) and Catherine has updated us on her progress in the gauge arena. She even shows us some pretty striped swatches. Ooh! Aah! More S&C Sweater Swatches, these labeled with handy-dandy tags. What do you all think of the radiator as backdrop? Nicely neutral, or boring? I finally got gauge on US 4s (3.5mm), which is two sizes smaller than called for in the pattern. I was miserable as I cast on for the swatch on 4s; I thought the material would end up being too dense. But instead it’s still drapey and lovely, AND I have finally gotten the correct gauge. Victory! 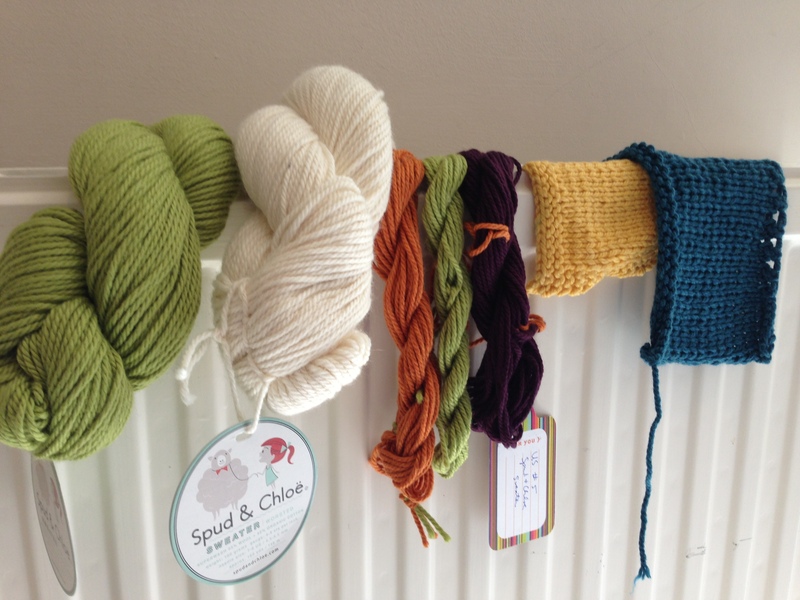 If you’re joining us, please do pop over to the knitalong thread on the Spud & Chloë Ravelry board, or post on the Knit Like You Mean It Facebook page, or in the comments section here. Catherine and I are really excited about getting to know all of you. I received a beautiful package of lengths of yarn for my stripes from Catherine today. You’ll see that she actually sent me a length of yarn in a color I already had, due to a miscommunication…but I will use it anyway. I’m thinking of repeating the green in the stripes (since I don’t have seven colors). We shall see… I would love to hear your opinions. The very dark yarn in the middle is actually purple (grape jelly). Possible colors for my Right as Rainbow cardigan. Some, or all? Which? A question has come up: should your Ravelry project be tagged? Yes, please do tag your projects on Ravelry, with tag “rar-knitalong.” To tag, go to your project, click “edit,” and the tags field appears right under the “size” and “craft” fields. Please also fill out the “pattern” and “yarn” fields, so we can see the different yarns and colors we are all using. The happy winner of the brown Spud & Chloë Sweater yarn is (drumroll please) Andrea. And I forgot to announce that Lisa won the lovely green yarn from a few weeks ago. All of the mini skeins are on their way to those who volunteered to yarn-bomb, as well. I’m ooking forward to hearing what happens to all that fiber! 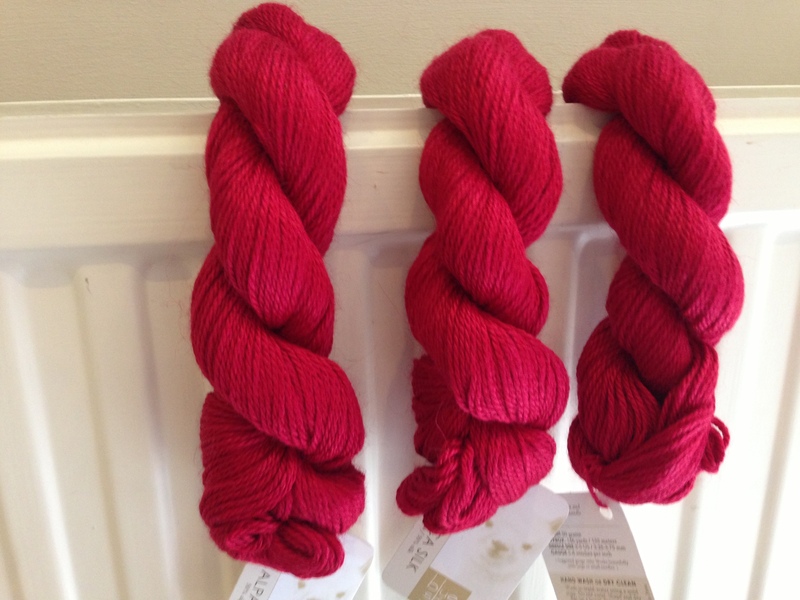 Blue Sky Alpacas Alpaca Silk: It could be yours! So tell me what you’d do with the color options I have. Which would you definitely use (other than the green, which I must use)? Which would you leave out? I’d leave out either the blue or the brown but not both. Love all the colors! If I were to leave one out it would be the yellow. (I’m biased against yellow because it is not my color!) thanks for the giveaway. As much as I adore the blue, I think I’d leave that one out and stick to warm fall colors throughout. And then make a hat for yourself out of it! I agree with others about the blue – it is great with the yellow and cream but throws the grape off and and I love the way the grape works with the green and orange. I’m still waiting for my KAL yarn. I like the idea of green in the stripes with the cream, yellow and blue. Definately keep the yellow as it brings out the warmth in the green and grape. I think i agree with andrea and eva leave out the blue. I agree with Eva – all the colours are gorgeous but I would leave out the blue. The cream, orange/brown and grape would look lovely with the green methinks. I am unsure about the yellow though. I love purple but I don’t think it goes with the green or the orange. You could make it vaguely rainbow ordered with those colors. I think it’d help the colors work together. Or, if you are worried about using the green again, you could always use the green as the color around the collar. I loooove the green, orange purple and cream together. It’s not a common combination but it truly does work nicely! I’d leave out the orange. I don’t know why…I guess it’s just not pleasing to my eye. I love that blue, however. I’d leave out the yellow. 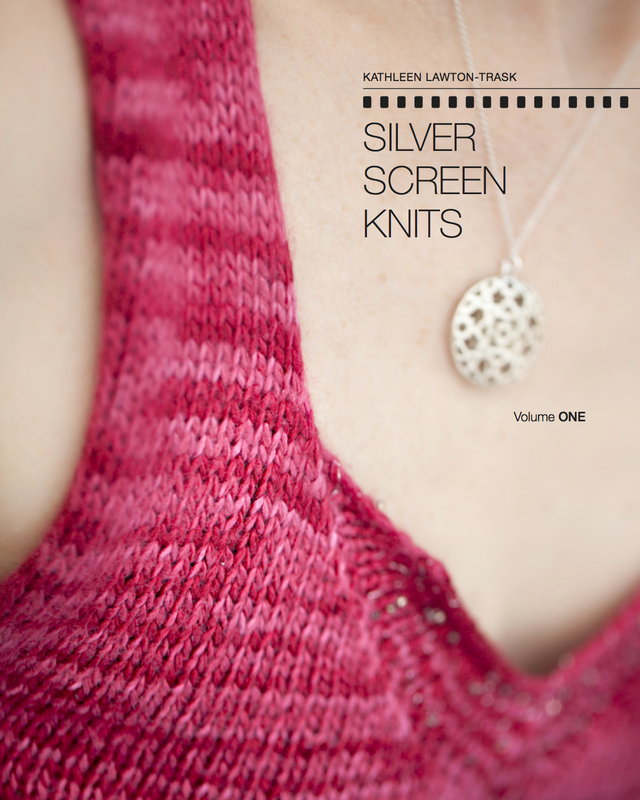 I love your blog posts though I don’t have a little one so I’m not participating in the KAL. I’d skip the grape and use all the others. I’d use a combination of three colors – green, white and either orange, yellow or blue. The purple yarn is too dark and it doesn’t go well with any of the other colors. I like the green/white/yellow combination the best. Question A …. I like the radiator backdrop. B. I think I would start with the green (I am not knitting along and haven’t looked at the pattern just the sample So I mean the neck of the sweater) so that you could use it again. If you could I migjt even keave out both the yellow and the blue. If you have to keep one then I would keep the yellow, but the sweater might have a very retro feel to it. Is miss Fiesty going to wear it? Does she have a favorite color? Maybe you could add one in? If you add red to what you already have you would have a rainbow! Grape Jelly and an orange!